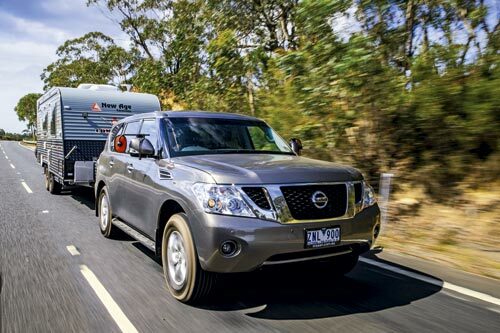 Remember the Nissan Y62 Patrol vs 200 Series LandCruiser tow vehcile comparo we published the other week? Well it turns out a lot of you wondered why we compared a diesel against a petrol rig. How expensive you might think a tow tug is to run can be a psychological thing as much as anything else; you only notice how costly your brand-new tow vehicle is when you buy it. You don’t keep thinking about opportunity cost or rates of depreciation. The same goes for servicing costs. You might fall over at the cost of your first big service, but you then pay it and get on with it. What about fuel? This is one everyone notices because you’re paying almost every time you need to drive somewhere, especially if you’re on a transport stage when on tour. You notice every dollar you’re draining out of the tank because you’re peeling out the notes so often. Diesels are known for being more economical than petrols, so it’s pretty clear why they get the thumbs up at refuelling time. For this reason we decided to test the petrol Patrol with the diesel LandCruiser – it would make a great petrol-versus-diesel comparison. 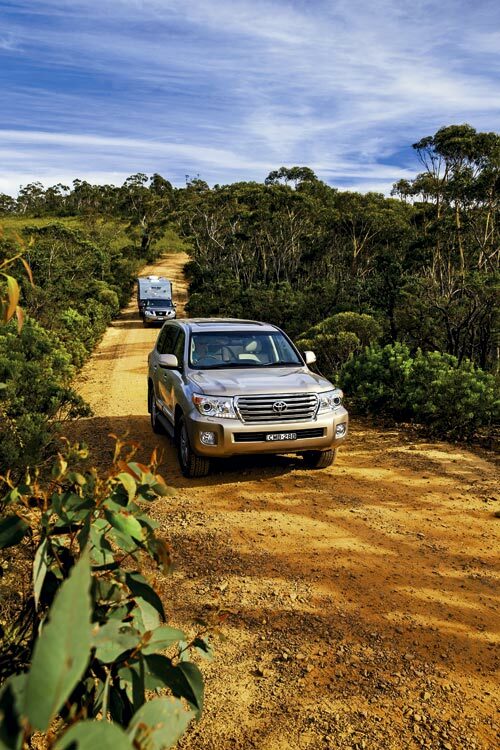 Besides, less than five per cent of LandCruiser 200 Series sold are petrol. The Patrol started this test with fuel consumption in the mid-teens. 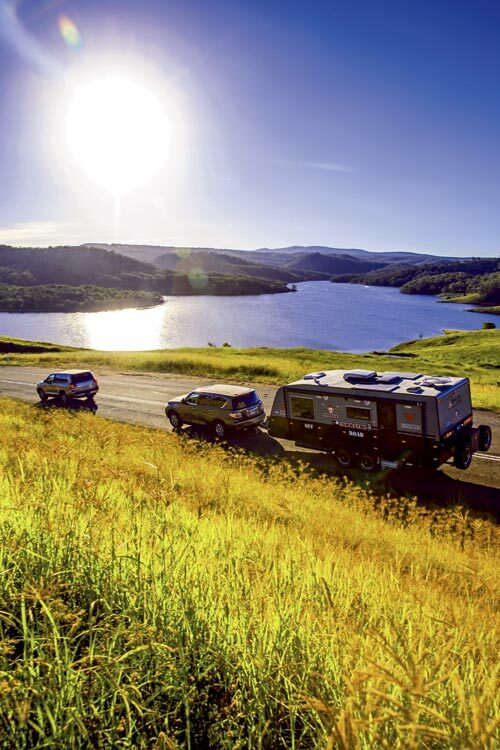 This was for primarily easy, open-road solo touring. When we hitched up our 3000kg van, its economy figure plummeted. 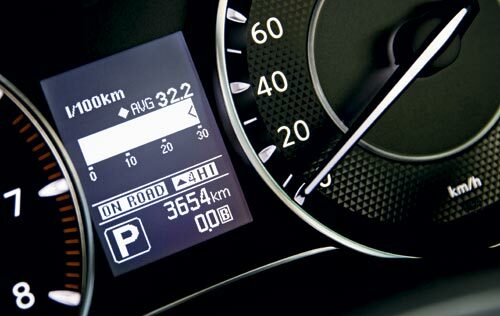 Within a short distance, fuel consumption rose to 30L/100km and never dropped from below that figure with the van behind. When it was the LandCruiser’s turn to do the towing economy loop, its fuel figure rose from 12L/100km solo cruising to 19L/100km. It isn’t the first time that the Patrol has been noted for its thirst. Sister publication 4X4 Australia took the big Patrol on its 4X4 of the Year test and noted it was also using fuel at a significant rate. 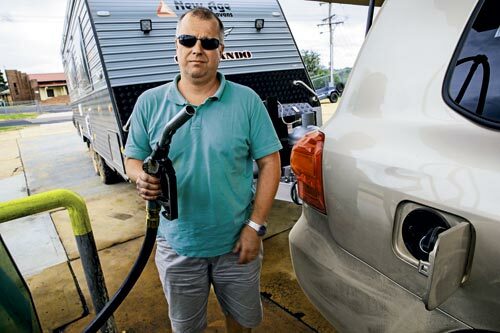 So while petrol V8s are thirstier as a rule – albeit exaggerated in the Patrol’s case – and their overall fuel cost can be far higher, especially when towing, petrols are not always much more expensive. Unleaded fuel was $1.32 and diesel $1.50 at the time of writing. So you have to account for the vagaries of fuel pricing – a thirsty petrol engine’s cost to run is partially reduced by the cheaper cost of unleaded at the bowser compared to diesel. Yet the Patrol was still burning 40c/km versus 29c/km for the LandCruiser.